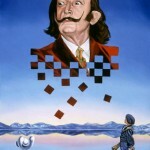 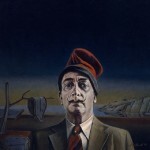 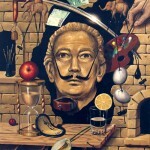 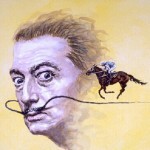 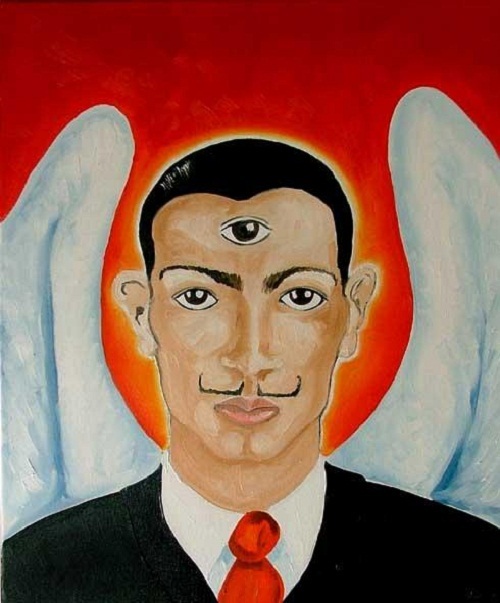 Noteworthy, prominent Spanish surrealist painter Salvador Dali has become the real inspiration for other artists. 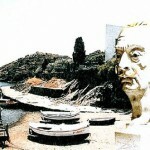 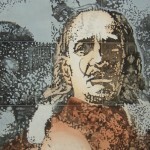 And his works still influence generations of artists, sculptors, illustrators, designers, and photographers. 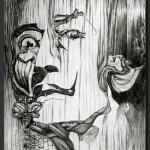 So it was, is and will be. 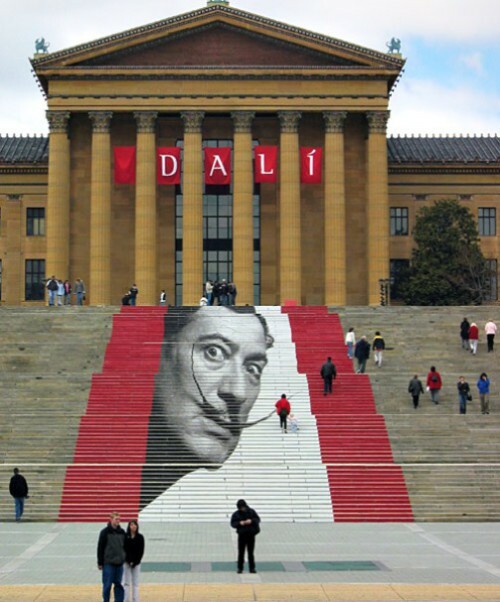 For example, this staircase decorated with an iconic image of Salvador Dali decorates the way to the Philadelphia Museum of Art. 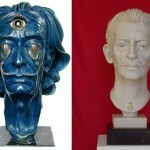 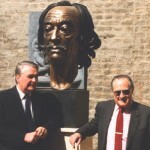 By the way, the Dali on the Rocky Steps installation appeared ten years ago for the Salvador Dali art exhibition. 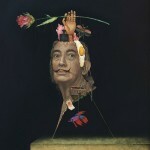 English artist Allison Carmichael now lives in France. 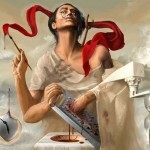 She is a colorist, using rich, bold and vibrant colors to capture her subjects and bring her paintings to life. 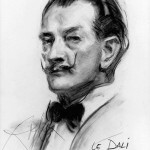 In particular, her portraits include the Hall of Fame, where you can find paintings of Britney Spears, Annabelle Apsion and Salvador Dali.